First-time Bondo’er? Start with these tips for mixing, preparing surfaces, and finishing. 1. Read and follow the directions on the container, especially the hazard warnings. Work in a well ventilated space; outdoors is best. Wear a respirator when sanding. 2. Have a container of lacquer thinner or acetone on hand, as well as a roll of paper towels. Clean any Bondo on your skin and tools before it hardens — with soap and water if possible, or with lacquer thinner. 3. 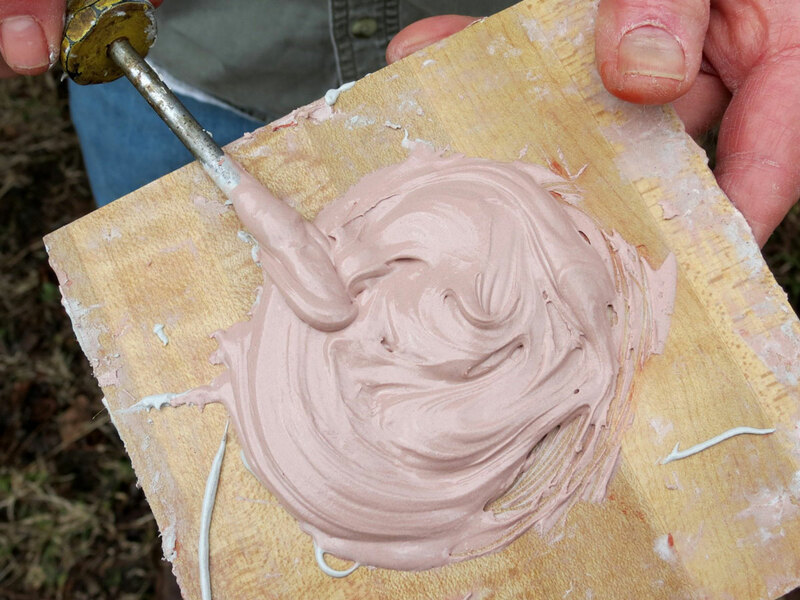 Bondo doesn’t “dry”; it cures through a heat-generating chemical reaction between the resin and hardener. In theory, properly mixed Bondo can be applied in any thickness, but beware of gravity-induced sagging. Curing time depends primarily on ambient temperature and how much hardener you add. Bondo mixed to the color swatch will begin to cure in less than 10 minutes at room temperature. Too much hardener in a warm environment will reduce working time, but too little in a cool environment can result in maddeningly long curing times. A heat lamp can speed curing in colder weather. 4. Mix only the amount of resin and hardener you need for the job. Unused mixed filler will be wasted, so don’t return it to the container. To further avoid wasting filler, use scraps of dry wood or stiff foam to help fill large cracks or holes. Don’t let any of this material protrude from the filler. 5. Body filler doesn’t shrink or pull away from the sides of properly prepared holes or cracks (or fender dents). Don’t count on unreinforced Bondo (such as 161) to be structural. After curing, expansion and contraction are minimal. 6. Clean and sand or scuff the surface to prepare it for body filler — it will not adhere to smooth, dirty or oily surfaces. Generally, if paint will stick, so will Bondo. 7. Conversely, if there’s an area you don’t want Bondo to stick to, apply a release agent (see tools and materials) or use Scotch tape or wax paper. 8. There’s a critical point in the curing process where excess filler, while still slightly flexible, can be removed quickly and easily with a body-filler expert’s roughing tool of choice, a Stanley Surform. Be vigilant; do as much shaping as you can before Bondo fully hardens. Stop when you’re close to the final shape, then smooth with progressively finer grades of sandpaper. 9. Fully cured Bondo is harder than soft pine, and is not flexible. It can be worked (drilled, sawed, routed, and finished) similarly to hardwood. 10. Bondo 262 can easily be applied, shaped and finished within an hour. 11. Body filler that will be exposed to water should be painted. 1. Stir the Bondo a bit with a flat stick or a screwdriver if it has separated. 2. If necessary, knead the tube of hardener to get uniform consistency. Hint: remove its lid and squeeze any air out to bring the hardener up to the tube’s opening. Holding it there, replace the lid and knead. 3. 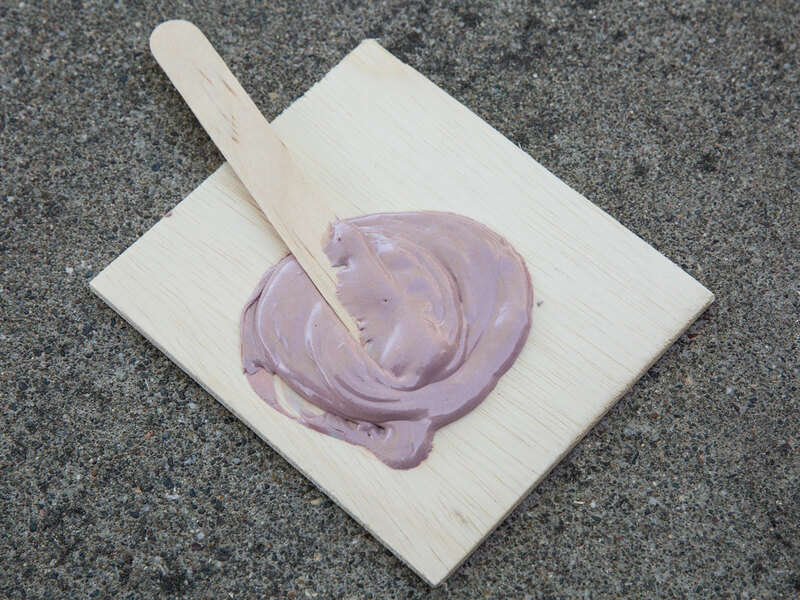 With your stirring tool, transfer an appropriate-size blob of Bondo to a piece of Formica. Carefully squeeze a small amount of hardener near the filler and quickly stir the two together just until it’s a uniform color. 4. With a palette knife, quickly apply the Bondo, leaving some excess material to be removed. 5. Before the filler is fully cured, shape and sand per the tips above, using a Dremel tool for details. 6. For a super-smooth finish, apply a very thin layer of glazing and spot putty with your palette knife. Let it thoroughly dry, then paint. Sand with at least 220-grit paper between coats. For more on Bondo, go to makezine.com/fond-o-bondo.